SYFY’s Superman prequel series, Krypton will return for a second season later this year. One of the biggest new additions to the cast is Emmett J. Scanlan, who will step into the role of the intergalactic bounty hunter known as Lobo. The self-proclaimed “Main Man” is legitimately one of the most dangerous individuals in the DC Universe. Over the weekend, Scanlan offered up a new picture of himself in makeup and costume as the Last Czarnian. Lobo and Superman are both among the last living members of their respective races. But while Superman’s planet was destroyed by a tragedy, Lobo wiped out the Czarnians…for fun. He’s also been able to fight Superman to a standstill when the Man of Steel was at the height of his abilities. That implies that there’s no one on Krypton who can match Lobo’s power. In the comics, Lobo only feels compassion for space dolphins. Everyone else is fair game. Lobo also follows his own twisted moral code, but he firmly believes in fulfilling his contracts. If Lobo accepts a contract to kill, he won’t stop coming until his target is eliminated. 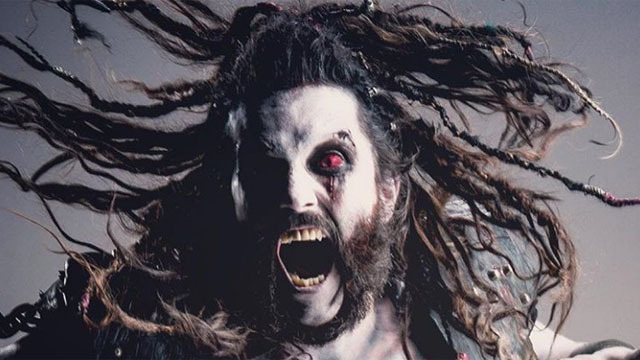 It remains to be seen how and why Lobo will come to Krypton. But we’ll find out more when Krypton season 2 premieres later this year. What do you think about this new picture of Scanlan as Lobo? Let us know in the comment section below!